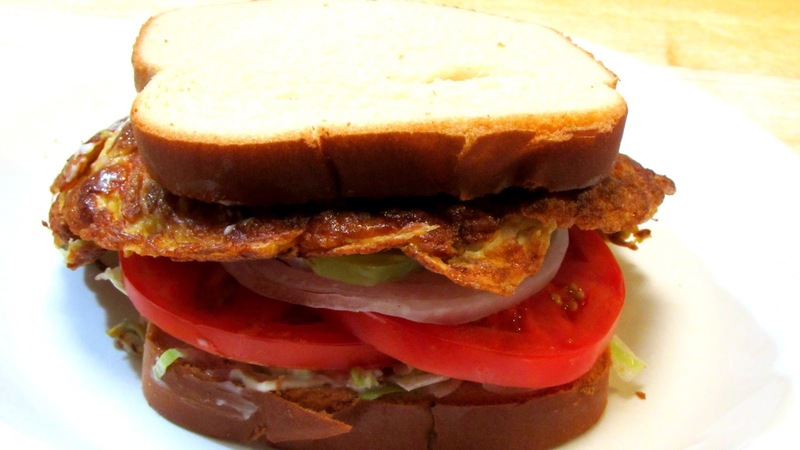 The Wolfe Pit: St. Paul Sandwich - Chinese Egg Foo Young Sandwich! St. Paul Sandwich - Chinese Egg Foo Young Sandwich! In a large bowl combine eggs, soy sauce, garlic, white pepper, corn starch and mix well. 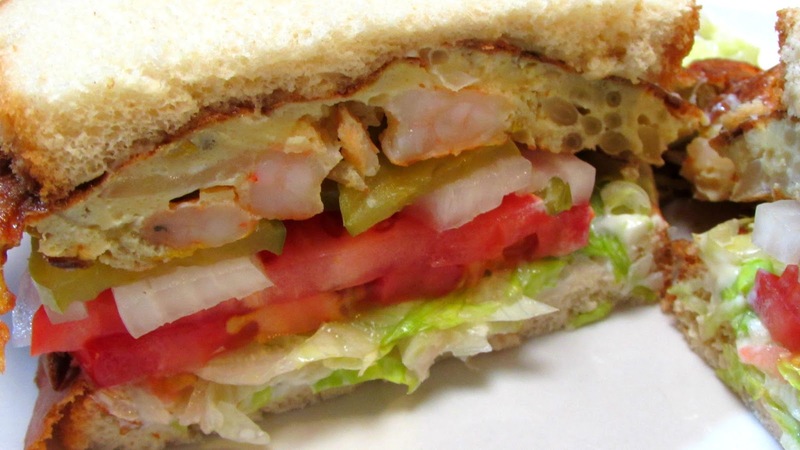 Mix in onion, bean sprouts and shrimp. Add about 1/4" of vegetable oil to a skillet over medium heat. Pour in half the mixture and spread out into an even layer, cook for 2-3 minutes. Flip and cook another 1-2 minutes or until the eggs are cooked through. 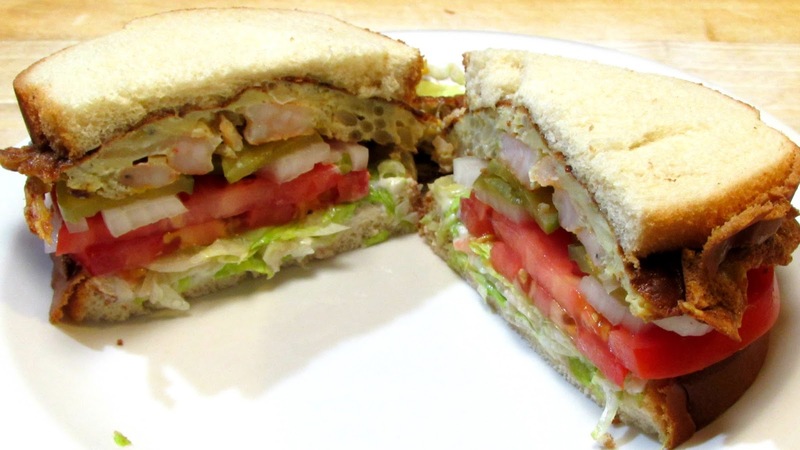 Spread mayonnaise on both pieces of bread, followed by lettuce, tomatoes, onions and pickles. Add Egg Foo Young and top with the remaining piece of bread.